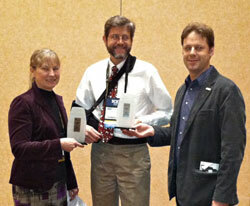 Innovation: Keith Kline and Virginia Dale- Oak Ridge National Laboratory. The environmental benefits of biodiesel are many. In this age of skepticism and competition for resources, it behooves us to quantify the environmental benefits in methodical and scientific ways. Keith Kline and Virginia Dale are leaders in scientific thought and published research on the true environmental impact of biodiesel and renewable fuels. Their published works on measurement of land use change and environmental impacts of feedstock production provide needed perspective in a political atmosphere that threatens to stymie advancement of alternative fuels due to speculation and unsupported claims against the environmental reputation of biofuels.